Otter and the Garmin G600 | Avionics Blog – Avionics to the Max! 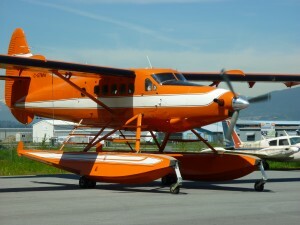 The beautiful orange Otter just left with its Garmin G600, GTS Â 800, new Maxcraft panel, SL40 radio and 796 GPS handheld. Â What an amazing aircraft! Don’t forget, this is the greatest time for rebates! Â Check out Garmin’s Portables Rebate offer, SPOT, Cobham, and Aspen. Â Â More info on our next newsletter coming soon! Maxcraft AvionicsÂ is a leader in airplane and helicopter avionicÂ system upgrades like the Garmin GTN series, including installation of everything from a basicÂ VHFÂ Radio and simple Garmin portable GPS all the way toÂ TCAS, EFIS,Â and autopilotÂ systems. We have the largest avionics facilityÂ in Canada and we have over 20,000 unique part numbers in ourÂ in inventory to repair your aircraft or upgrade your cockpit. This entry was posted in Avionics News and tagged Aviation GPS, Avionics, Flight Instruments, Garmin Avionics, Garmin portables, GPS, portable. Bookmark the permalink.